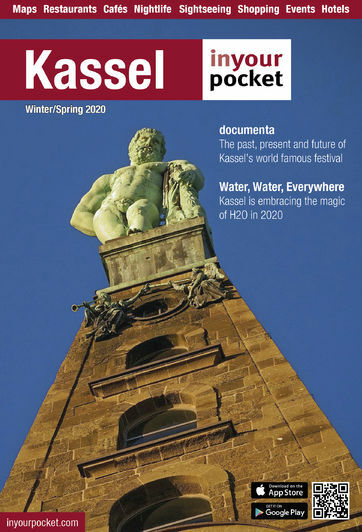 Kassel's crowning glory is the magnificent Bergpark ('mountain park'), on the steep hillside four kilometres west of the city centre - a UNESCO World Heritage Site since 2013. You can spend many hours wandering along the park paths, visiting its museums and enjoying the views. Bring a picnic to make the most of your day. The 245 hectare park with a height difference of 300 metres is a unique example of European landscape gardening. Work on the gardens started in the early 18th century and continued on and off for nearly 300 years. Besides plenty of special plants and trees, you'll see temples, fake ruins, a Roman aqueduct and a Chinese pagoda while wandering around. To get there, take tram N°1 to Wilhelmshöhe Park and walk uphill from there, or continue by bus to the palace or Herkules (from where you can comfortably walk downhill); the park museum and Herkules tickets include include transport to and from the Bergpark by tram and bus. Admission to the park is free.